Several digital companies that start their business from the domestic market intend to explore the global market at some point. To perform well at a global level, they need to expand their infrastructure footprints in the other counties. But it is important that the companies using digital business applications and content should balance their performance with cost. Considering hosting solutions for the IT infrastructure is a wise option for companies with digital business needs. Today, we are going to discuss the range of solutions available for companies that are looking to boost the geographic reach of their digital business initiatives. Let us first examine the three types of hosting solutions for the infrastructure of digital business applications. • Another type of infrastructure hosting solution is ingest solutions. This entails receiving sensor data as well as data sent by mobile devices either in real time or in aggregate and other types of communications that are carried out from machine to machine. This data is stored and processed at the edge and then for further action, it is sent to a more central location. • Origin solutions are where the center of the application is. This type of infrastructure caters to the delivery of application itself. It can also be utilized as the central repository for data and assets. 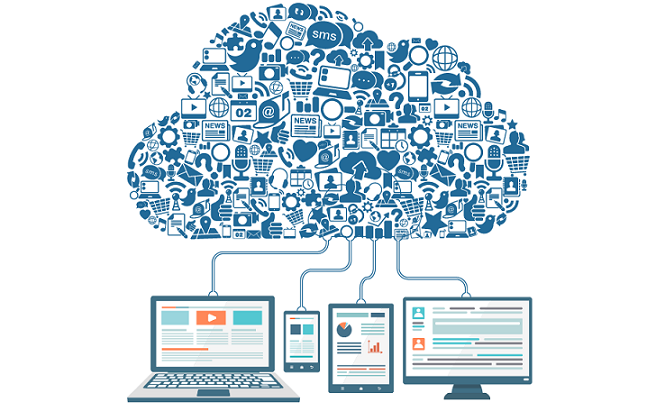 Cloud Storage: There are several regional and global providers of public cloud infrastructure as a service that offer object storage, allowing the storage of objects in a region and then retrieved through Hypertext Transfer Protocol. Good performance, effectively infinite scalability, high durability, and inexpensive pay-as-you-go pricing are some of the benefits of cloud storage. Content Delivery Network: CDN is used to deliver the content of a website to the visitors at a great speed through geographically distributed network of servers. A content delivery network can cache objects from the original location and then deliver the user request from the server nearest to them. Very good performance, high availability and scalability, and degree of pay-as-you-go pricing are some of the best features of CDN providers, which are generally global. You can also find some CDN providers that have a regional presence. Using a cloud service, hybrid cloud solution, and creating an origin solution that uses data ingestion software are some of the large-scale data ingestion solutions. Cloud service: By opting for a cloud solution, it is easy to ingest globally distributed, elastic, scalable, and real time data. These solutions are available on a global level. Most of the solutions are marketed as Internet of Things. Hybrid cloud solution: There are several companies that offer solutions with a cloud service and on-premise applications or software. You can deploy these solutions into any location. This means you can use the cloud service for all those locations that use the on-premise solution. You can consider colocation, public cloud IaaS, and dedicated hosting or private cloud infrastructure as a service for origin solutions. Colocation: Colocation means you can either rent a server from the provider or place your server into the provider’s rack. If you want complete control, choose colocation. Public Cloud IaaS: When you just need a platform or you want to manage it as well, this is your option. But ensure that the provider offers you enough security and scaling option, as well as meet regulatory compliance requirements. Stay away from small and local cloud IaaS providers as they generally have less experience in dealing with global companies. Dedicated hosting or private cloud IaaS: You can choose a provider offering dedicated hosting or private cloud IaaS if it is capable of meeting your scaling needs and offers a good data center and elasticity capacity. Choosing the right infrastructure hosting option for launching your digital business on a global basis is a critical decision. Explore all the available options and choose the best fit for your business to mitigate risks and be successful.